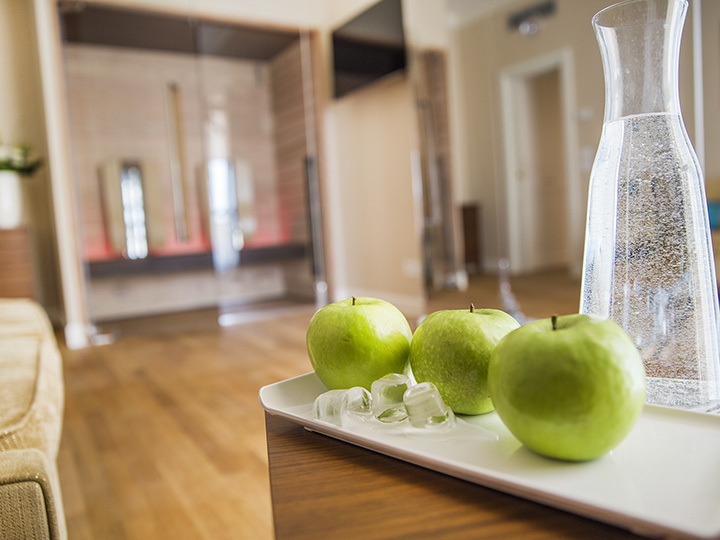 Discover the Sensory Experience in Wellness Junior Suite: four chromo-sensory itineraries of wellness. 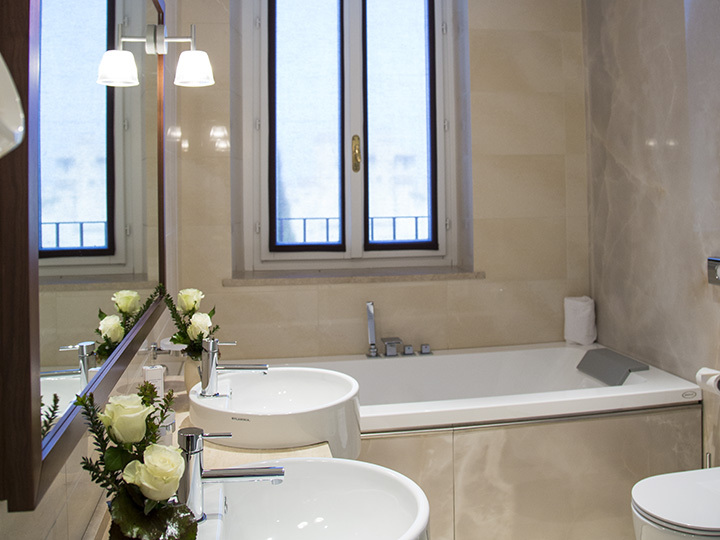 Discovering La Divina is a journey amidst comfort, tranquillity and exclusive privacy. 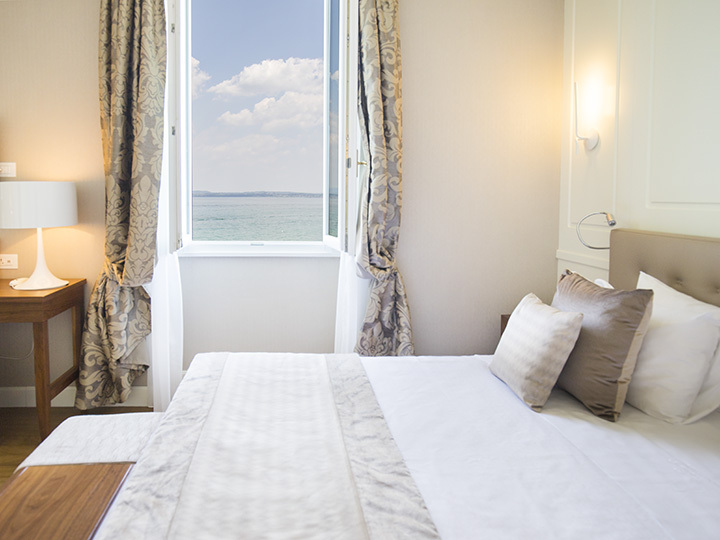 The wonders of the lake flood directly into this Junior Suite, where the elegance of the past meets all the modern comforts. 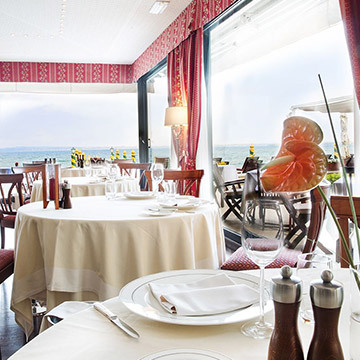 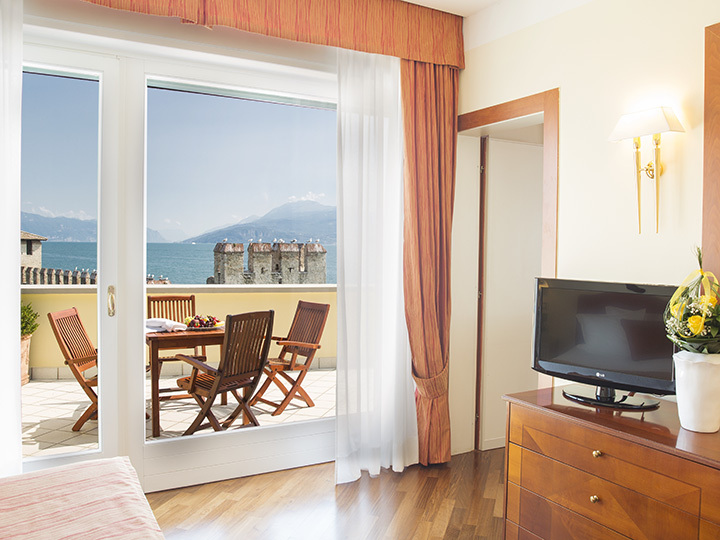 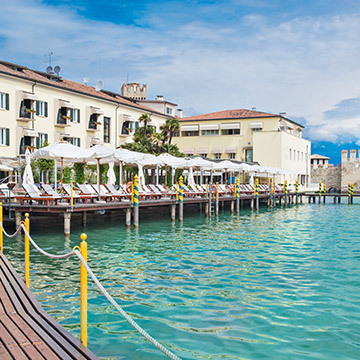 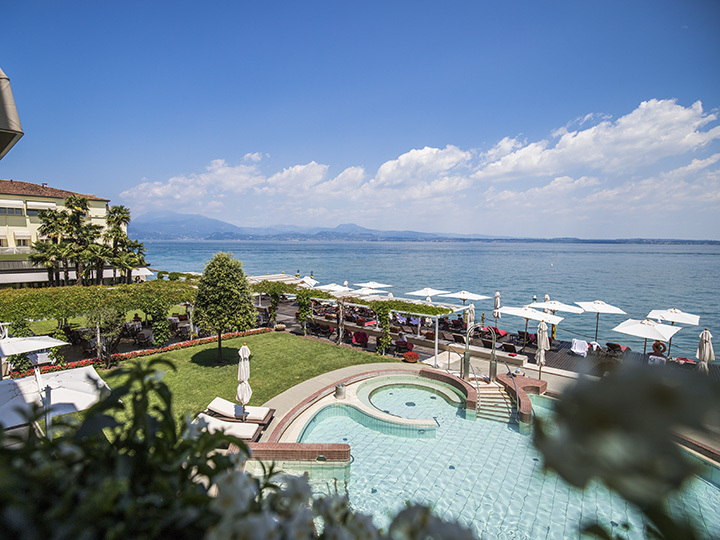 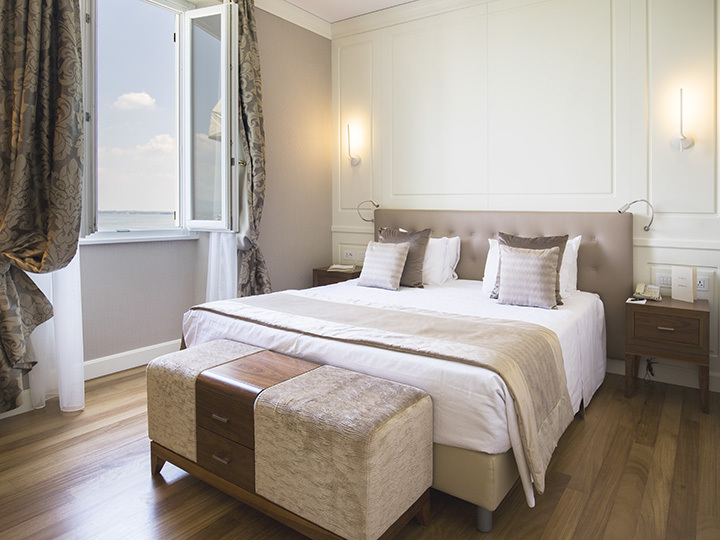 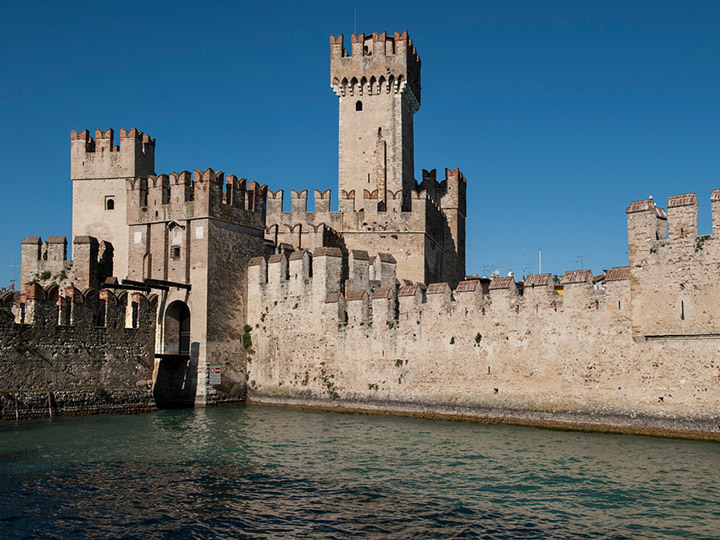 The unique Sirmione Suite with a view of Castle dock. 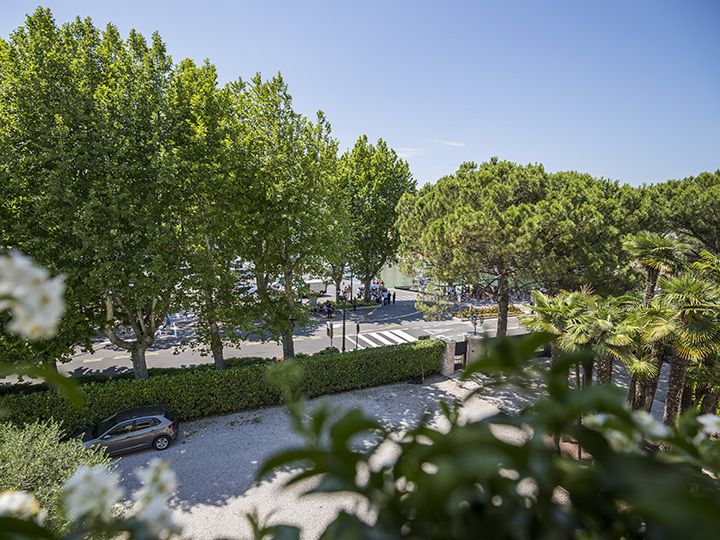 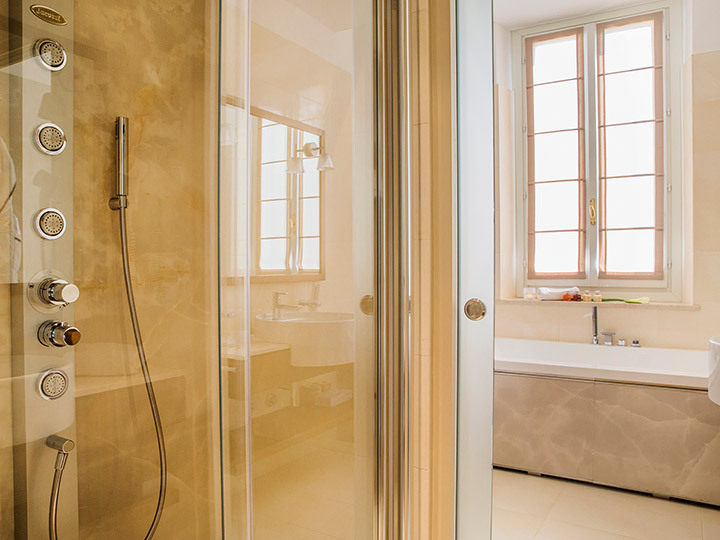 Exclusive privacy in an elegant, 50 square-metre apartment, with a living room and large terrace on the lake. 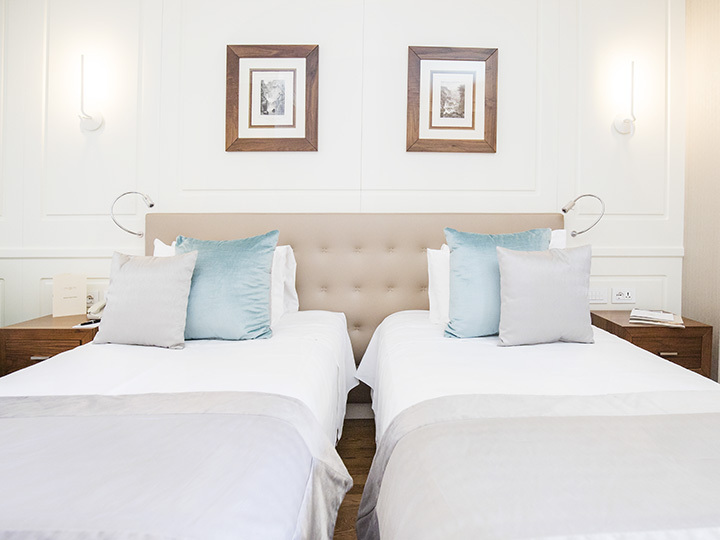 Sophisticate linen bedding, soft bathrobe and slippers available. 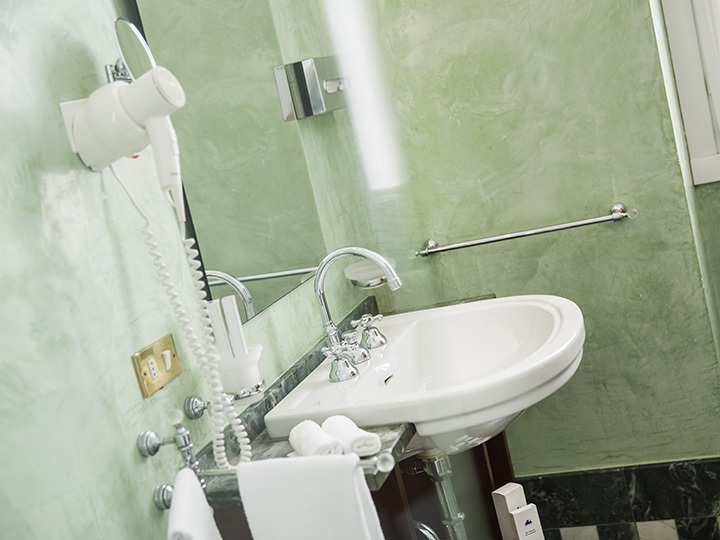 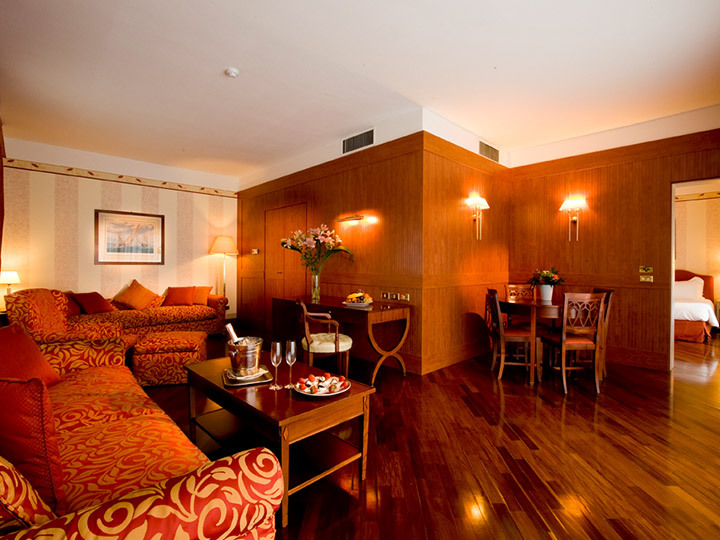 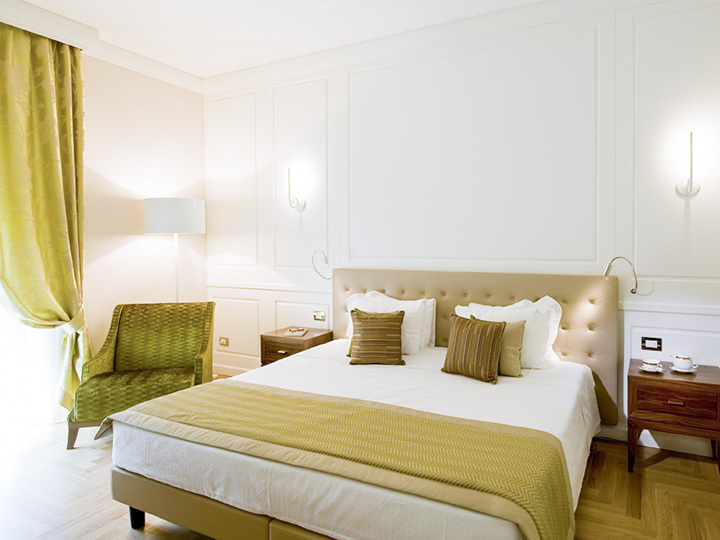 The suite is furnished with TV via cable and DVD readers, wi-fi internet access, safe, telephone and free minibar. 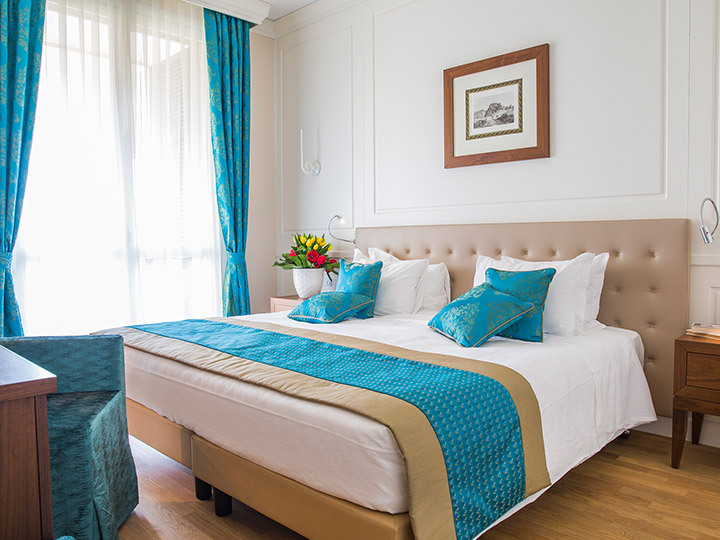 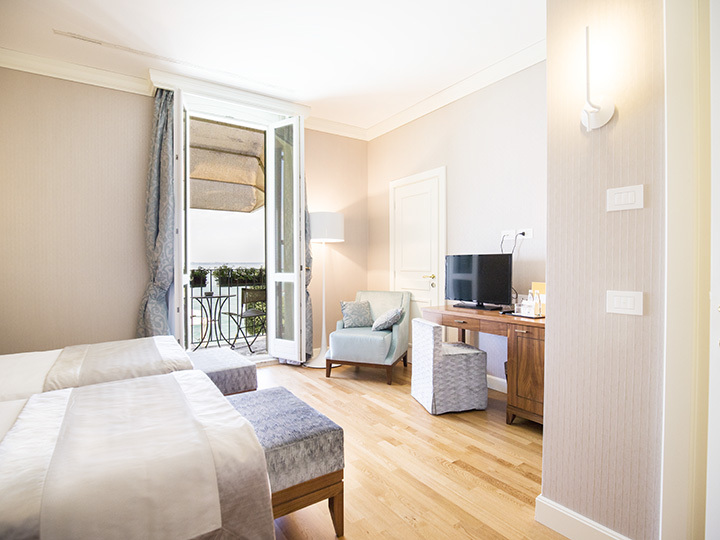 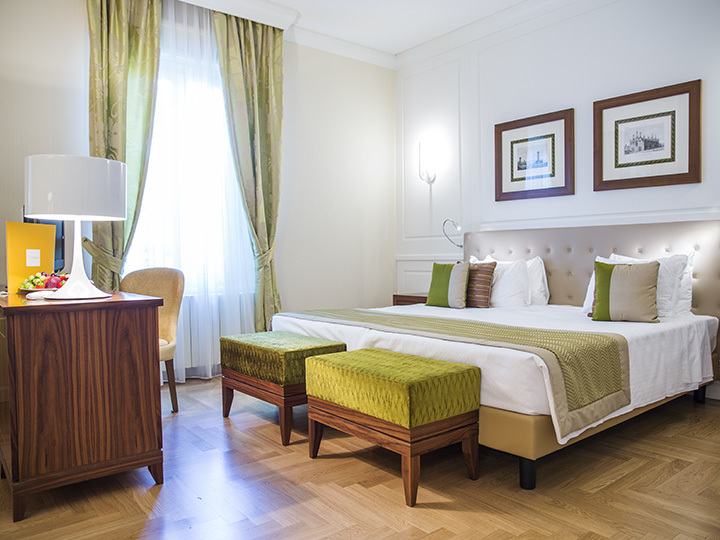 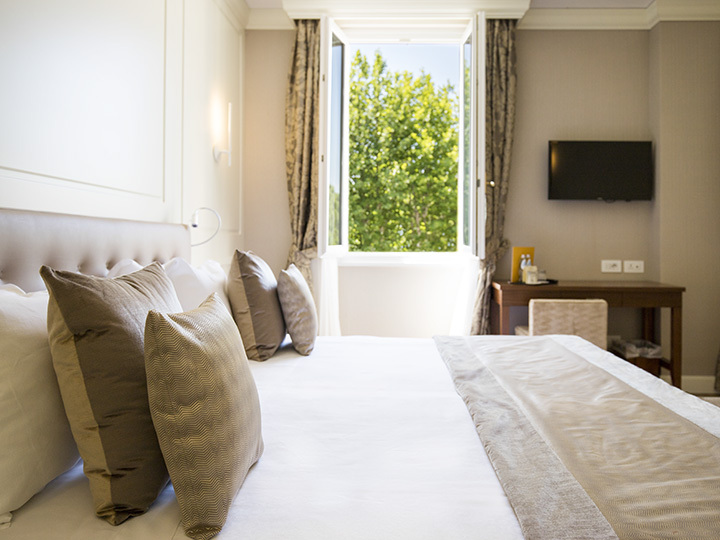 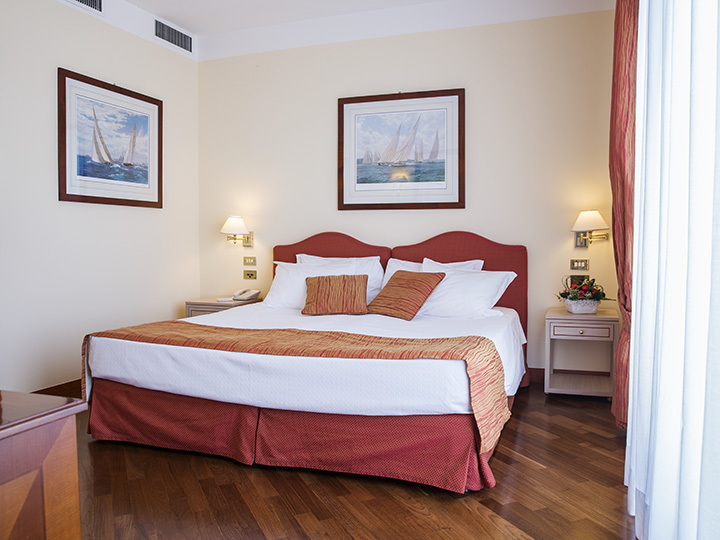 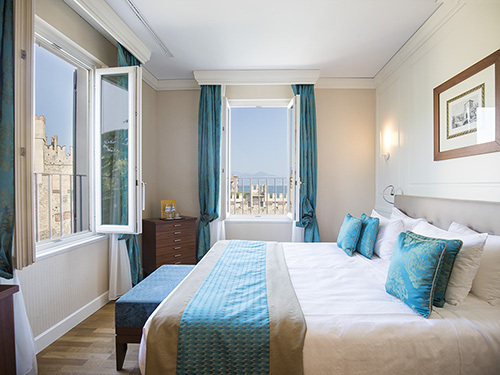 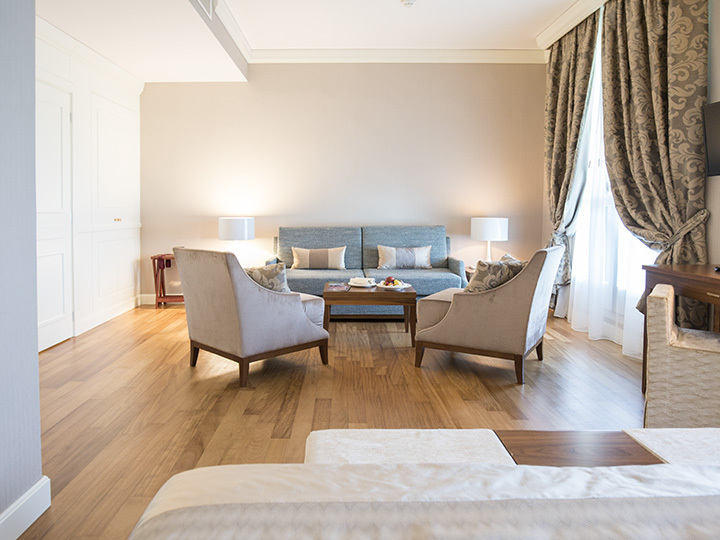 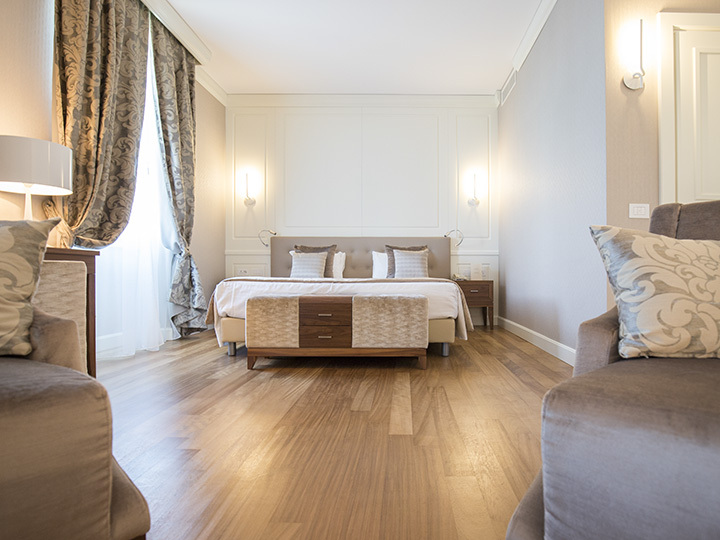 Our accommodation includes sophisticated linen bedding, housekeeping service twice a day, a free premium assortment minibar and complimentary mineral water, SKY TV and free national newspapers every morning. 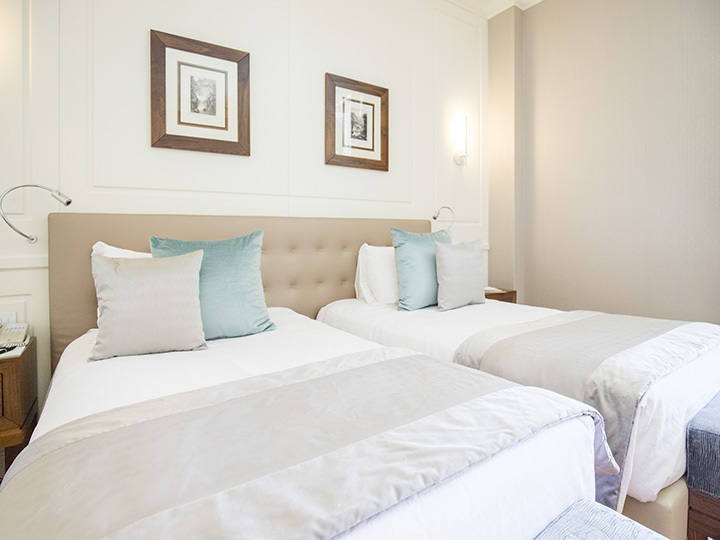 Our accommodation includes sophisticated linen bedding, housekeeping service twice a day, a free premium assortment minibar and complimentary mineral water, SKY TV and free national newspapers every morning. 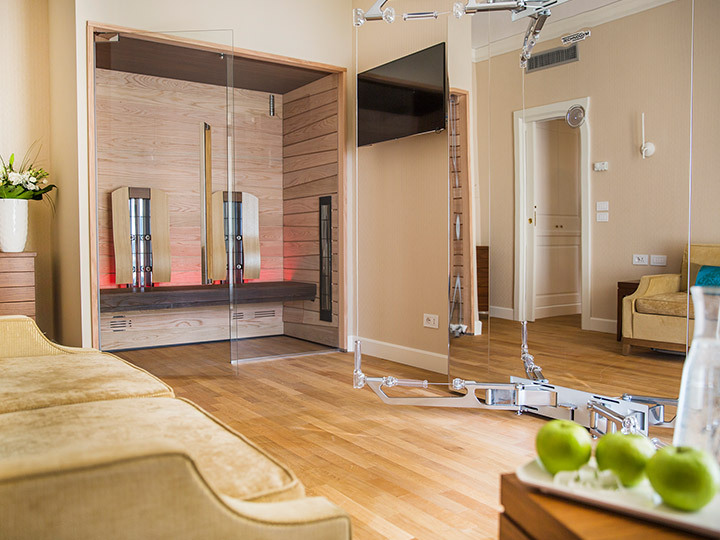 A Junior suite equipped with Technogym kinetic chain and infrared sauna to devote yourself to fitness with a view of the lake. 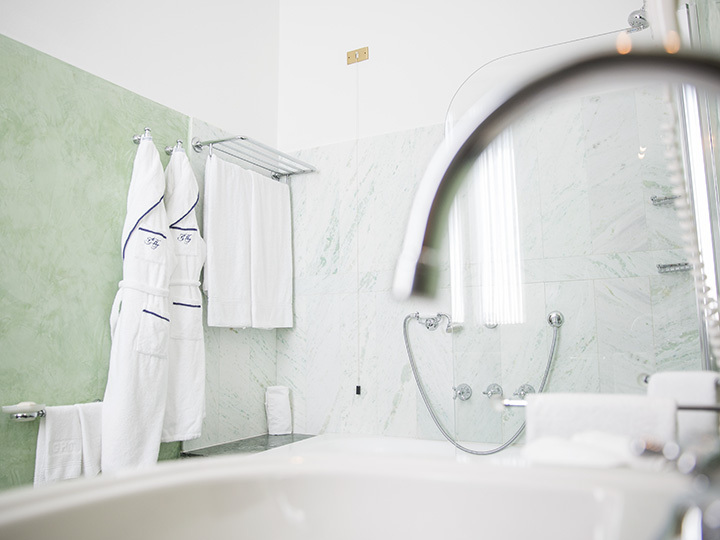 An intimate atmosphere, perfect for short stays to be pampered with the exclusive SPA and Gourmet services of the hotel. 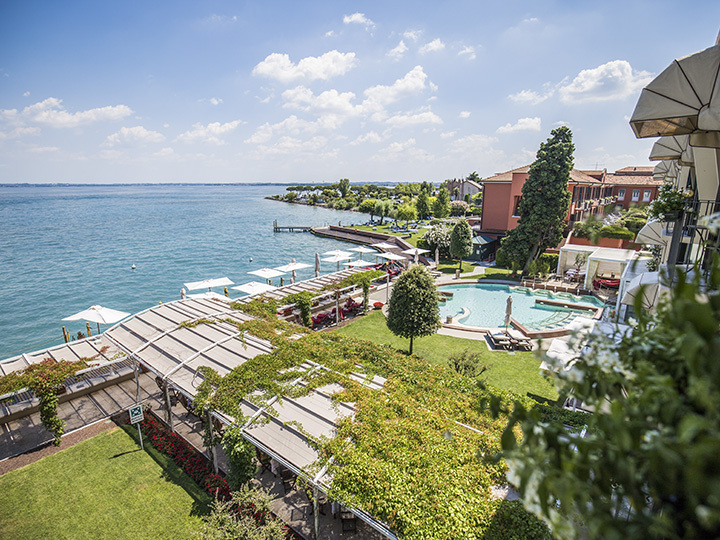 A superior welcome for a stay of true wellness, which starts in the morning with the sight of the sun rising above the lake. 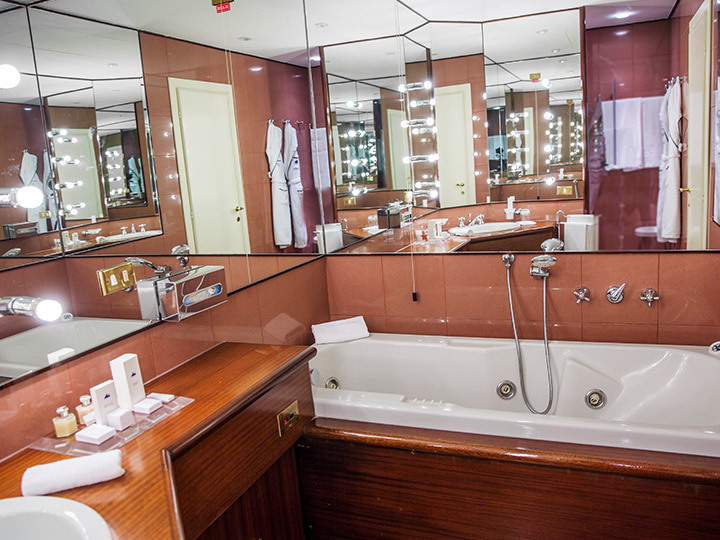 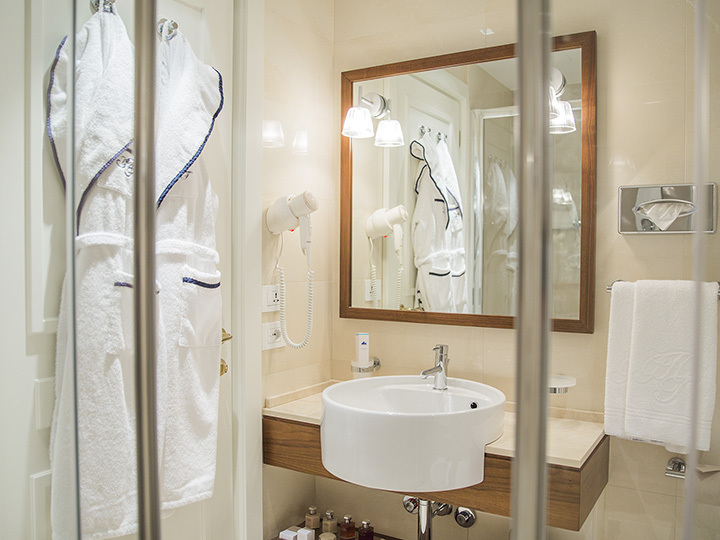 Abandon yourself to comfort: this Junior Suite is a perfect place to relax and take time out. 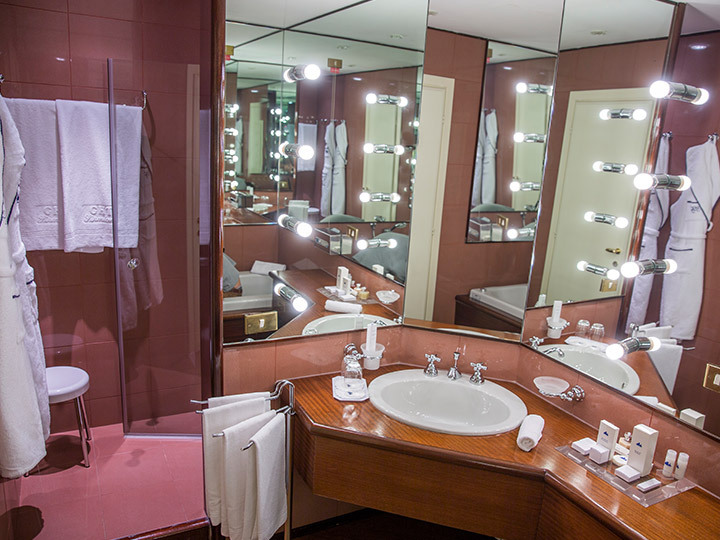 Five star recommendation for an unforgettable stay.